MeshMail is a cloud based video messaging, email distribution and media management platform that is easy to use and works effortlessly across all web, e-mail, social media and mobile environments. Video marketing has the highest ROI of all digital marketing channels. Using MeshMail, your campaigns can achieve 60% view rates on average. MeshMail is not like YouTube, Vimeo, or other social video services. MeshMail is your private video service where you are the producer, director and censor. 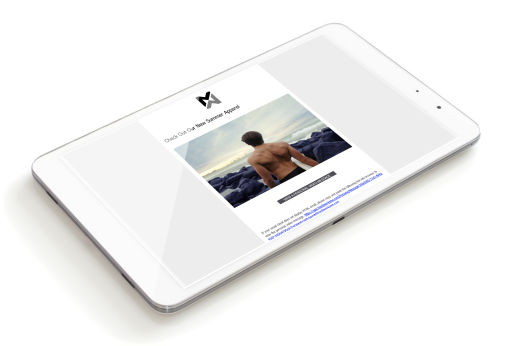 Each message can be customized with private label branding, a background image, up to 5 call to action buttons, links to any social networks you have, along with up to 6 attachments of any file size. All while having the option for 2 separate video players in one window. 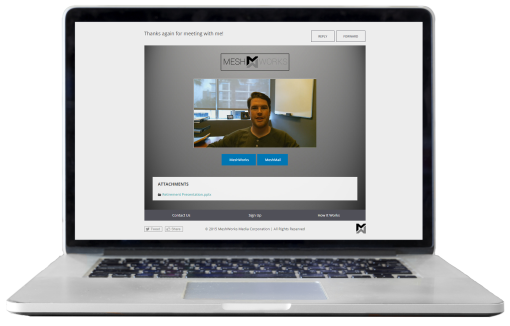 MeshMail gives each individual user the ability to send video emails on a 1-to-1 or 1-to-Unlimited basis; whenever they want. The MeshMail SMTP network provides the best in deliverability and video email management. Just tracking the number of email sends or opens you have is not enough; your business needs to know the whole story. MeshMail gives you real-time understanding of how every element of your message is performing. Each message allows for tracking of each individual part of the message to see what truly hit home with your audience. Store virtually any type of video, PowerPoint, photo or document in any file size you wish. MeshMail’s media management solution is easy and unlimited. Uploading your contact lists is as easy as drag and drop. Simply drag your CSV or XLS file into the uploader and MeshMail takes care of the rest.